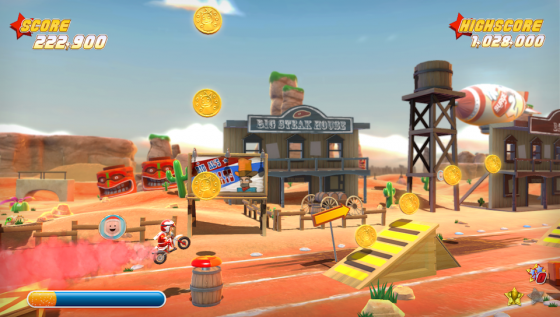 Ready to play this motorcycle stunt racing game? Read on for a chance to win a US Code! 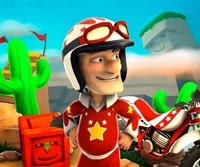 Joe Danger is bigger and better on Vita than the original PS3 version. It comes with over 80 levels, including the Laboratory, which hasn't appeared on a PlayStation platform before. There are 25 characters to play as, and the game also includes ghost replays, which first appeared in Joe Danger 2. They've added some Vita-only features, so you can make new levels in the level editor using touchscreen controls, and finally there are online leaderboards and a set of Trophies to win. We have a review coming, and also a US game code for one lucky reader! Comment below including why you should get the code! We'll give the code away later this week.